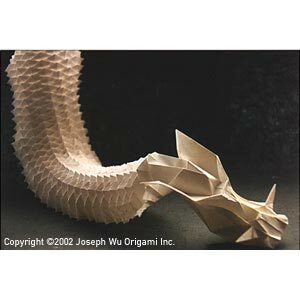 This scaly dragon owes a large part of its existence to the origami tesselation work of Tom Hull and Chris Palmer. I hope to one day make the entire dragon, giving it a body, limbs, and a tail. The head and neck took over 5 hours to fold.